Apple is the last defendant in the price-fixing case, as the other publishers have agreed to settlements with the Justice Department in recent months. Apple, the government claims, knowingly engaged in a conspiracy with Macmillan, Simon & Schuster, Hachette Book Group, Pearson, and HarperCollins in order to set prices above the $10 norm that Amazon was charging for e-books. A lawyer with Patton Boggs told Bloomberg it is "pretty unusual" to see a case like this go to trial  likely due to the tendency for defendants, even tech giants, to settle. Observers note that it is indicative of a larger trend that has seen the Obama administration's Justice Department more vigorously pursuing antitrust actions against companies. Should the government win the case, Apple would likely be barred from certain anticompetitive actions, including price fixing, in the ebook market. Apple holds that it acted on its own, negotiating contracts with each individual publisher to establish an "agency" model. Under that model, publishers set prices for books instead of the retailers. Apple, under that model, receives 30 percent of the price for each book. 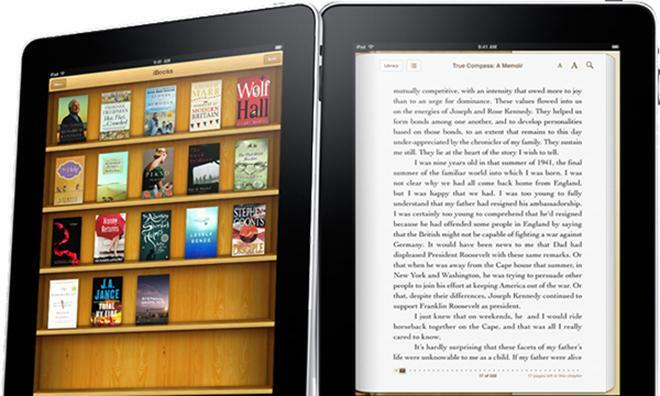 Apple says that, prior to its entry into the ebook market with the 2010 introduction of the iPad and the iBookstore, nine out of 10 ebooks bought by consumers were purchased through Amazon. Publishers are said to have been unhappy with the low $10 price the online retailer was set on charging for their products, even though Amazon was actually paying more money to the publishers than it was charging customers for the books. According to Apple, its entry into the ebook market gave consumers more choices, better e-readers, and lower overall prices. CEO Tim Cook has been ardent in his defense of the company. "The ebook case to me is bizarre," Cook said last week at AllThingsD's D11 conference. "We've done nothing wrong there and so we're taking a very principled position on this... And so we're going to fight." The trial will proceed without a jury, with U.S. District Judge Denise Cote presiding. Cote's pre-trial comments may give Apple pause, though, as she previously said that the government likely has enough evidence to show a knowing conspiracy on Apple's part. Among the evidence the Justice Department will produce are emails from late Apple cofounder Steve Jobs, as well as testimony from Eddy Cue, the Apple executive most involved with the negotiations with publishers. Jobs' email may be among the DOJ's most damning pieces of evidence, as it asks the publishers to "Throw in with Apple" at a price floor of $13 "and see if we can all make a go of this." Lawyers for Apple and the Justice Department will give their opening statements on Monday in a Manhattan federal court.